Umit is regularly invited to talk at international and national conferences, workshops and meetings. Over the years he has appeared in over 50 coferences and seminars as a guest or key note speaker. A selection of his more recent talks are listed below. Invited Speaker “Where there is balance there is performance” – Innovating Works workshop, Edinburgh, UK, 24 February 2015. Key note speaker “Balancing Organisational Controls” – Irish Business Excellence Conference, 15-16 October 2014. Hosted a workshop “Creating adaptive high value organisations – A case study with Progress Rail” as part of the Scottish Manufacturing Conference, 12 June 2014. Key note speaker “Managing Sustainable Performance” at the National Production Management Research Conference, Sakarya, Turkey, September 2013. 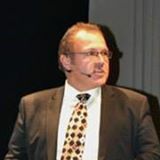 Key note speaker “Creating an adaptive pharmaceutical sector” at the Pharmaceutical Manufacturing Leaders Form, Bratislava, Slovakia, February 2013. Featured speaker “Performance measurement: Future challenges“, 6th Annual conference of the Institute of Industrial Engineers (USA), Reno, Nevada, 21-25 May 2011. Key note speaker “Adaptive companies – Sustainable Performance” at the Irish Academy of Management Conference, September 2009, Galway, Ireland.